Top Points and Payments	How Do I Pay For a Lesson? 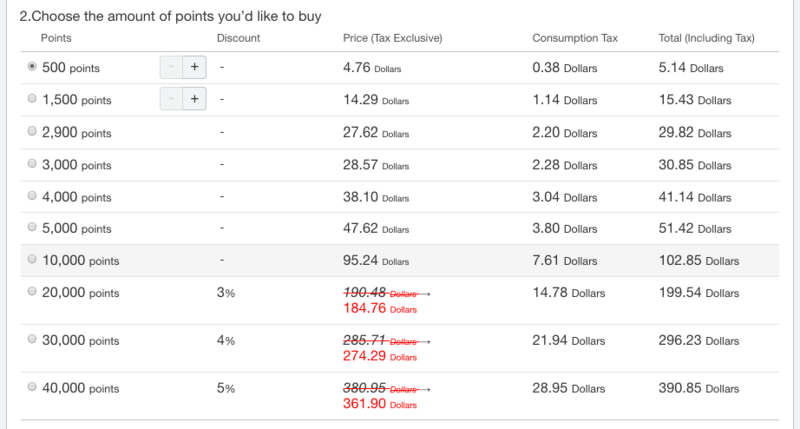 Cafetalk uses a pre-paid point system to reserve/purchase lessons. Points must be purchased before making a reservation and can be bought in USD, EUR, GBP, CAD, AUD, JPY, KRW, TWD, HKD and SGD. The minimum purchase is 500 points (540 yen including tax), and you can be purchased via bank deposit（Japanese and Korean banks only), credit card (Visa, Mastercard, American express), or Paypal. For more information about points and discounts, please see this page. Login to Cafetalk and click on "Points" from your dashboard. You will be taken to the point purchase page. Select the currency you'd like to make your payment in. 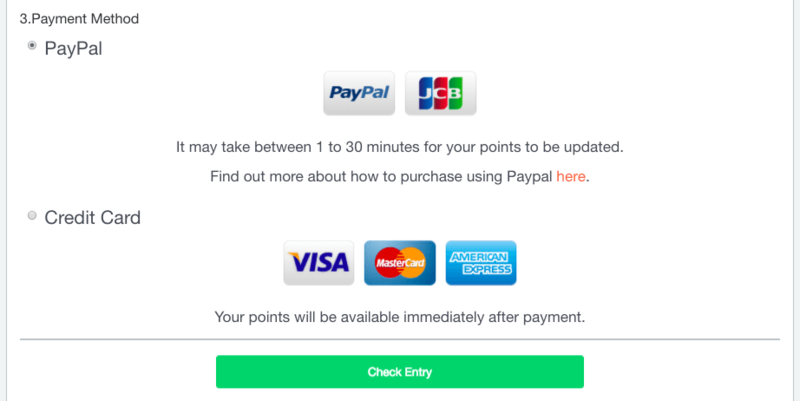 Select the amount of points you want. If you click on the plus (+) or minus (-) button next to the 500 or the 1500, you can adjust the amount in 100 point increments (up to 500 or 2000 points). Purchases of 20,000 points are more are automatically discounted. Select your payment method (Paypal or Credit Card for USD). We accept VISA, MasterCard, and American Express. Points will be immediately added to your account as son as your payment goes through. 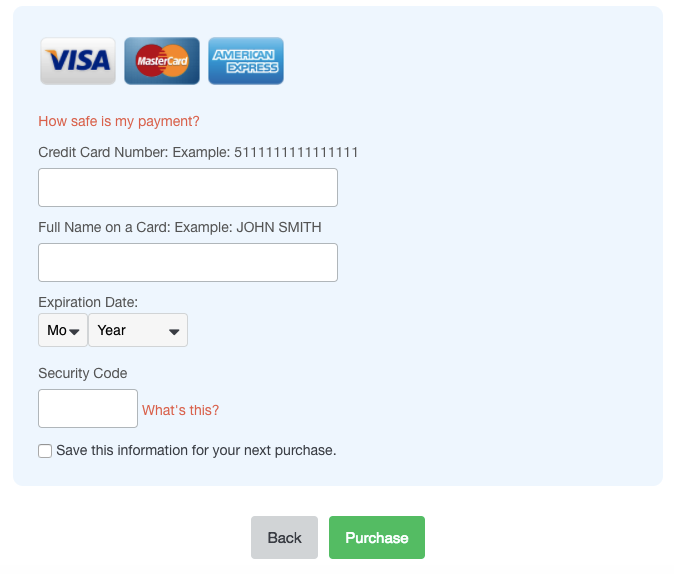 You will be required to enter in your credit card number, full name, card expiration date, and security code.